The convenience of these extra-thick, stable boards eliminates the need for stretching or mounting. 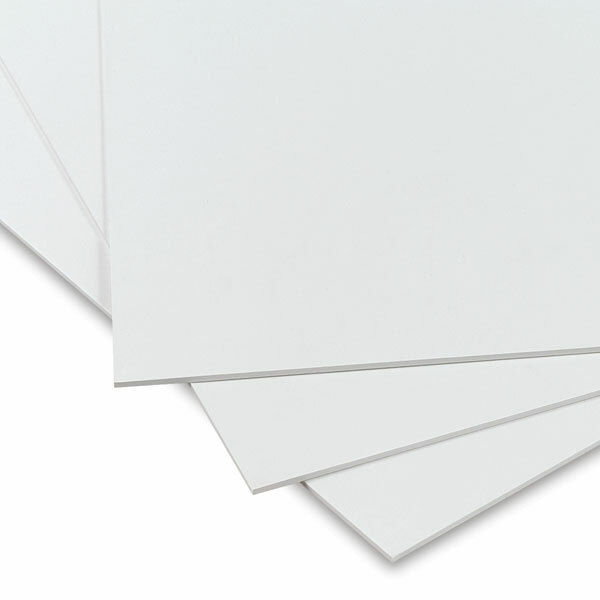 Crescent Premium Watercolor Boards feature a 100% rag, heavyweight (140 lb, 300 gsm), acid-free paper mounted to an acid-free, archival, extra-heavyweight (.090”) core. Uniform surface sizing and internal sizing provide maximum durability for wet-on-wet techniques, reworking, and erasing. Enhanced for use with paints such as watercolors, acrylics, and gouache, Crescent Premium Watercolor Boards can also be used for airbrushing, illustration, and light collage. They are not recommended for oil paints unless primed with gesso first. The board edges should be taped or waxed when used for heavy washes.